Clean horizontal lines make the Silvelox FOR garage door will look good on any modern property. 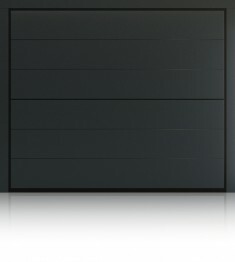 Silvelox garage doors are the very best there are. They offer great design coupled with security and ease of use. Built around an internal steel box section frame with hardwood okoume panels, the Silvelox FOR garage door is strongly constructed. Made from opposing layers of okoume, the panels are very strong with no twisting or warping in the timber. This sandwich construction makes up the 80mm thick door leaf providing both high security and insulation values. Silvelox do not use spring on their garage doors. Instead they use weights to balance the door. This makes the door not only much smoother to open but also much longer lasting than other types of door. This patented balance system needs no ceiling tracks or operator boom, everything is within the door frame. In addition to the balance system the feature Silvelox are best known for is their pedestrian door. 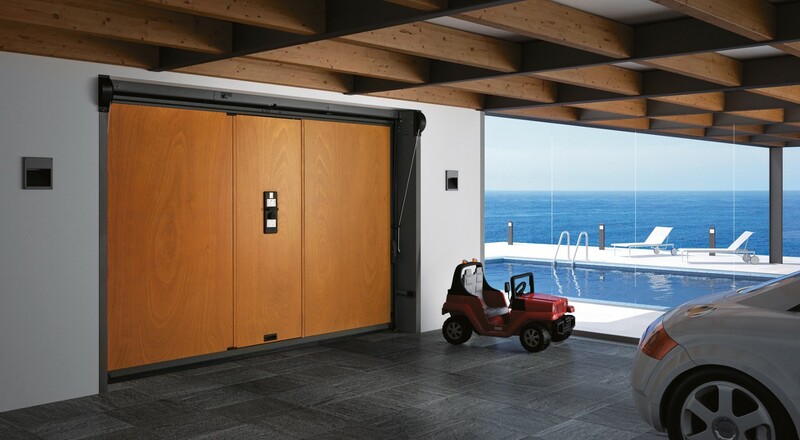 The pedestrian door sits neatly within the FOR design and allows access to and from the garage without the need to open the whole door. Silvelox make not only the best looking garage doors on the market but also the most secure. Class 3 security rating is standard with the Secur Plus version. 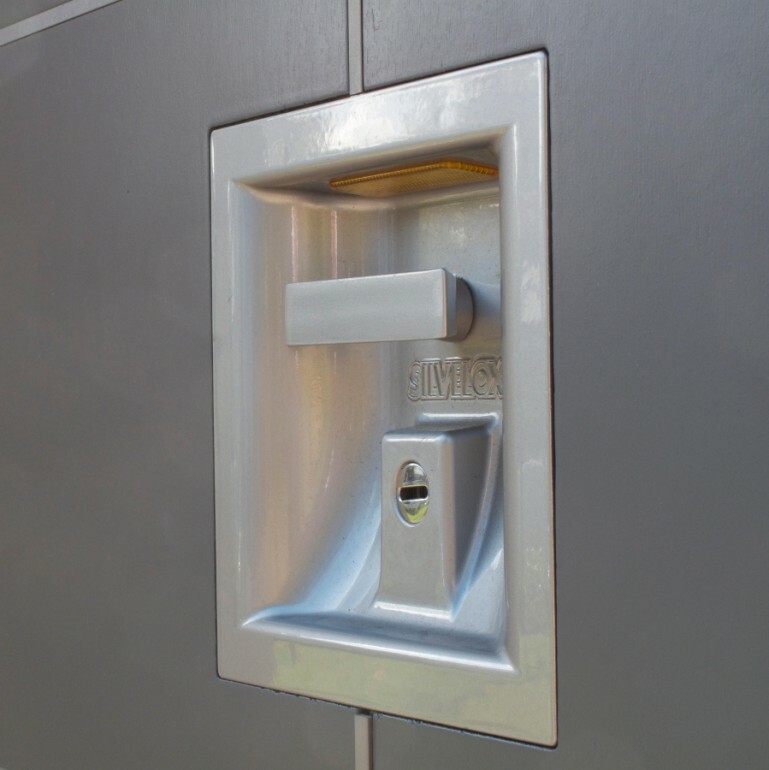 It comes with automatic locking bolts, a steel sheet inside the door leaf in addition to high security lock cylinders and hardened steel hinges. Shown here in Silk Grey is the FOR with optional stainless steel inserts. With Silvelox doors the choice of finish is extensive. Almost any colour can be chosen for this door also, if you prefer the natural beauty of wood, there is a range of different timbers and stains to choose from. Silvelox have a matching front door.